One of the many known facts about Singapore is it has a rich and unique cuisine, with varied influences from Chinese, Malay, Indian and other neighboring countries. As a traveler and a blogger, and just like any other tourist who’s exploring a new place or country for the first time, I always make sure I find that original, authentic taste of the food unique to that place. Each country is unique. Each cuisine has its own unique story you can only find out by immersing your taste buds to it. 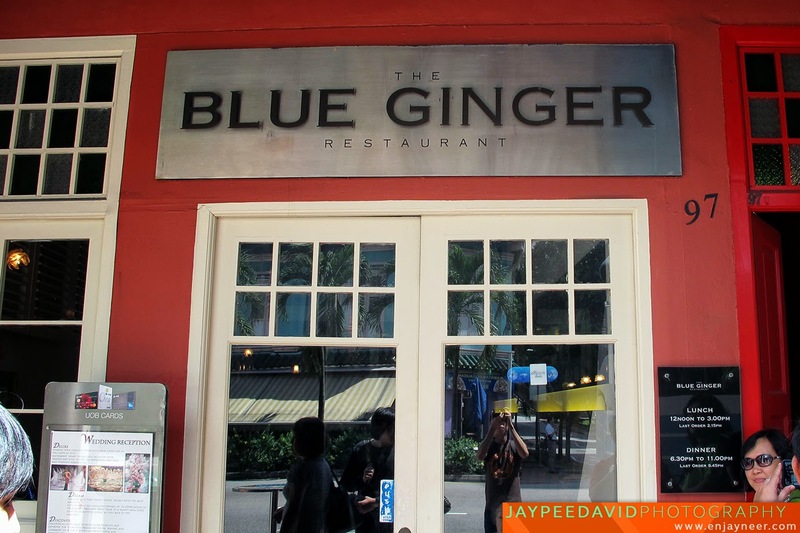 Let me take you on a culinary tour to one of Singapore’s famous restaurants, The Blue Ginger Restaurant. 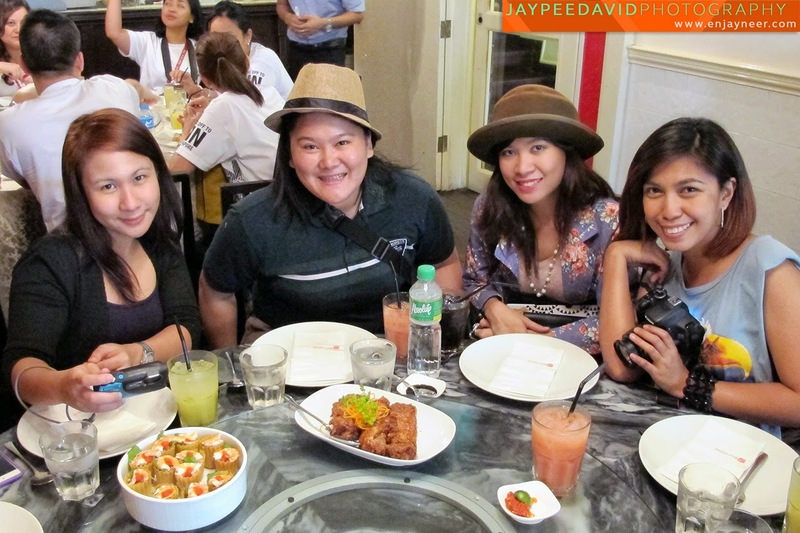 With Singapore foodtrip buddies, Meg, Khai and sister, and Melai. 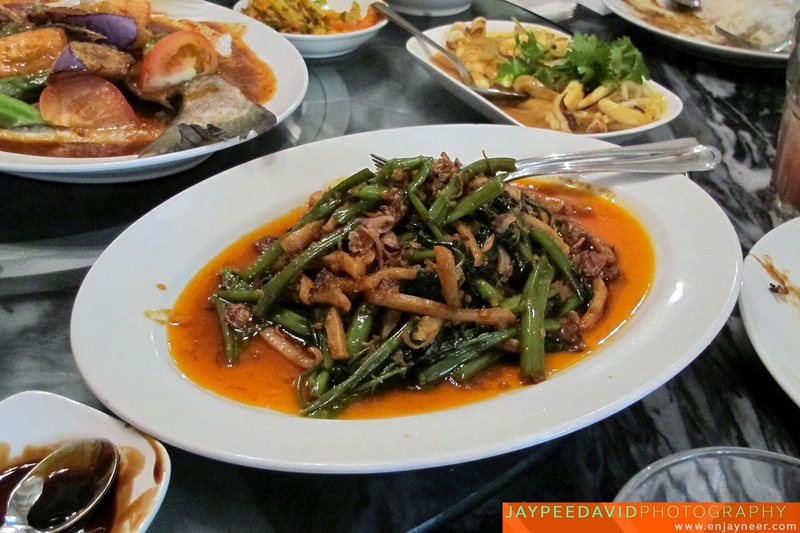 The name Blue Ginger was derived from a key ingredient in Peranakan (Straits-Chinese) cooking known as Nam Kiong in Cantonese, or Galangal in Malay. Peranakan is a culture which evolved through the intermarriage between early Chinese settlers and the indigenious Malays in the areas surrounding Singapore in the 1800s. As a result of this union, a whole new culinary flavor took form. 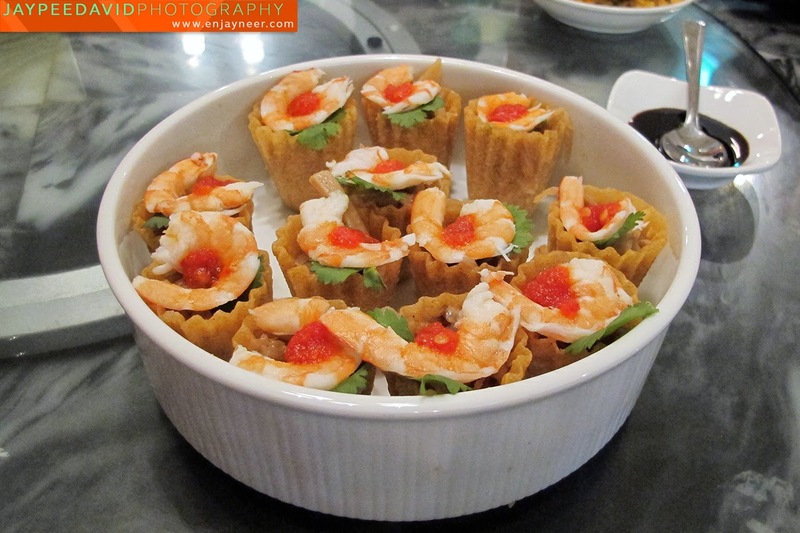 Kueh Pie Tee is a thin and crispy pastry tart shell filled with a spicy, sweet mixture of thinly sliced vegetables and prawns. 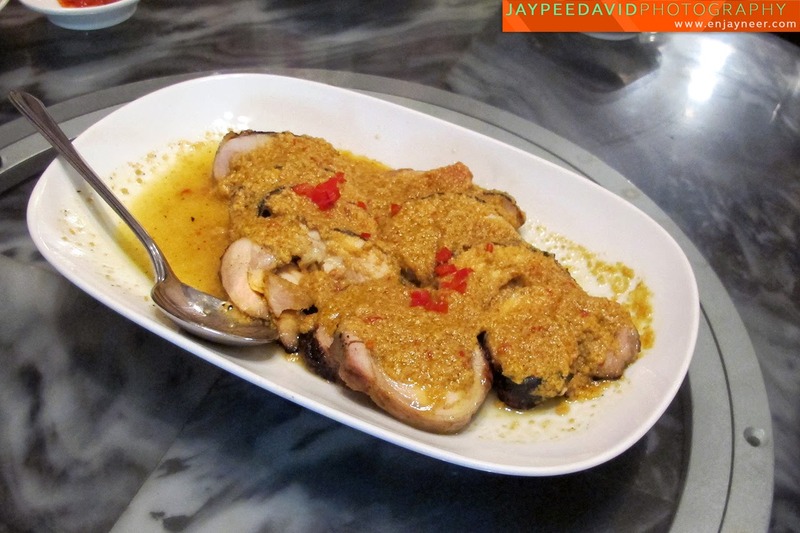 It is a popular Peranakan dish. The main filling is shredded Chinese turnips and carrots. My favorite! Beef Rendang - tender beef cubes prepared in rich coconut milk spiced with ginger, lemongrass, lime leaves and a dash of curry powder. 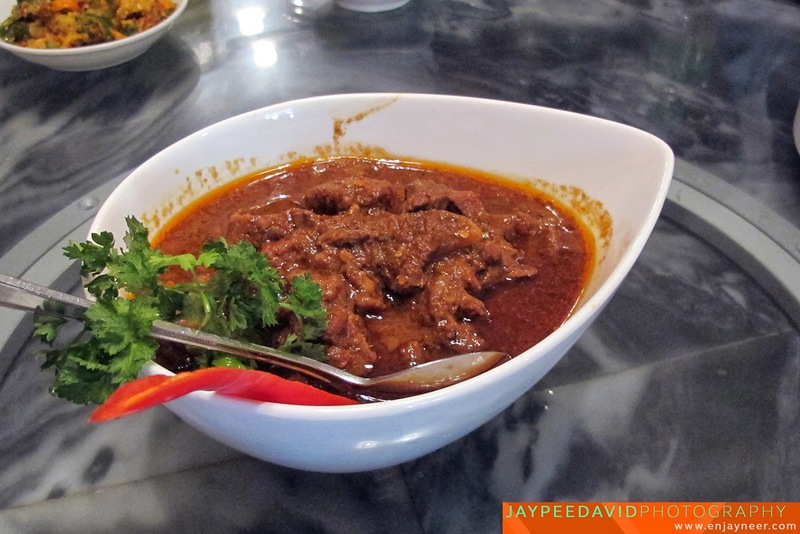 I've had my share of beef rendang from different Asian restaurants but this from Blue Ginger is probably one of the best. 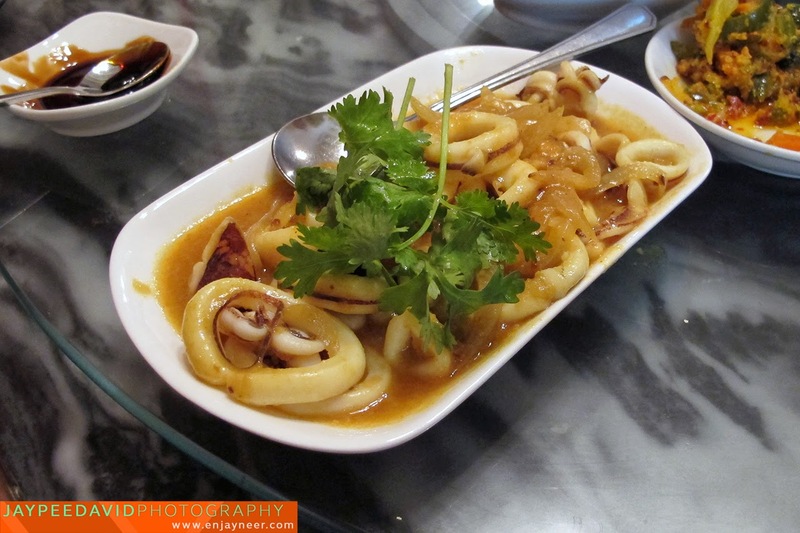 Sotong Kunyit - fresh squid stir-fried with turmeric powder, flavoured with tamarind. 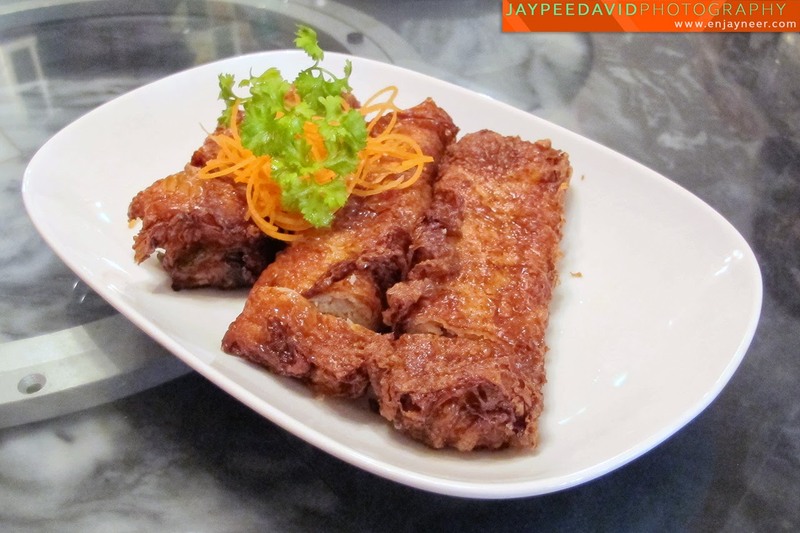 Ngo Heong - deep-fried spring rolls with minced pork, shrimp and water chestnuts served with sweet soy dip. 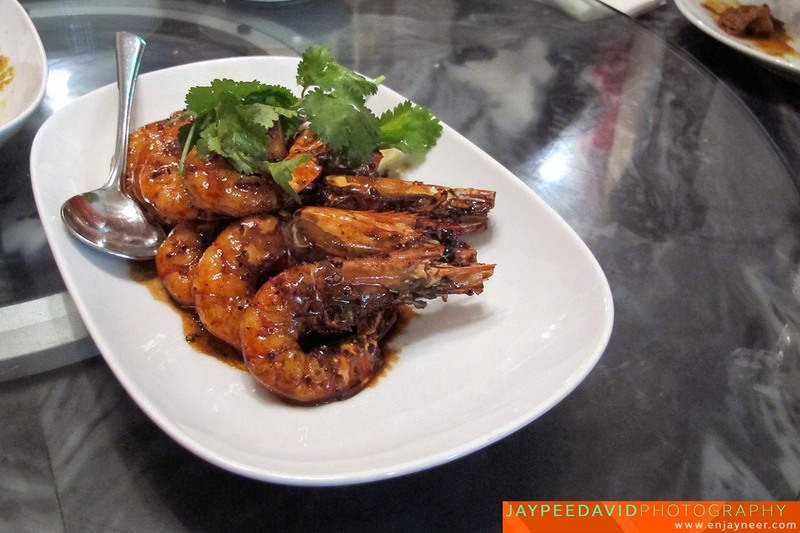 Udang Goreng Tauyu Lada - sauteed prawns with pepper in sweet dark soya sauce. 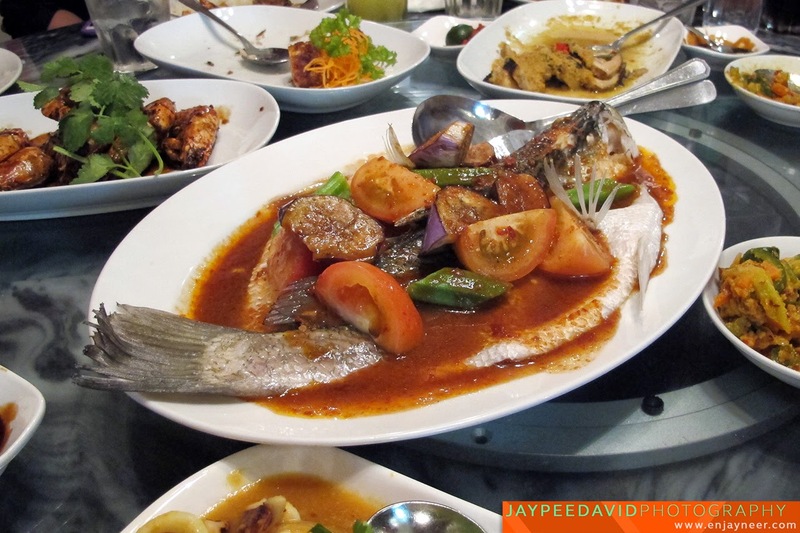 Seabass Gulai - fresh seabass simmered in spicy tamarind gravy flavoured with lemongrass. Ayam Panggang - deboned chicken thigh and drumstick flavoured with coconut milk rich in exotic spices and grilled to perfection. 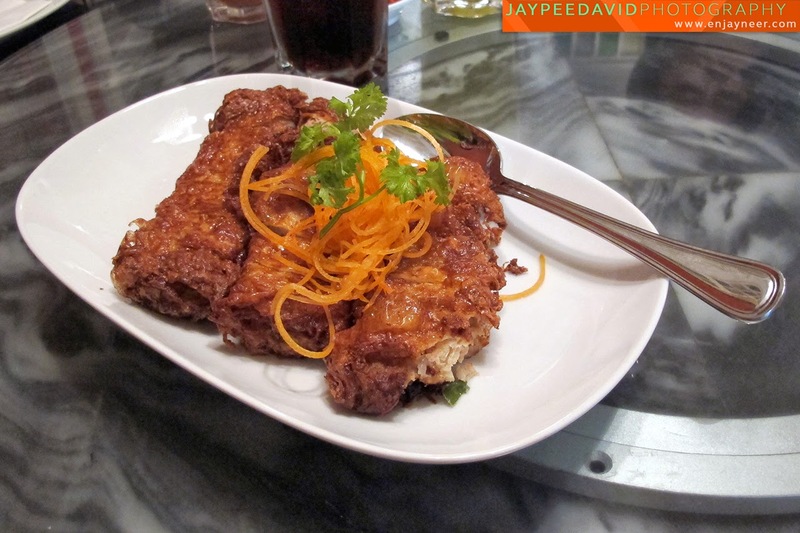 Ayam Limau Purut - chicken simmered in a spice ladened tamarind mix. 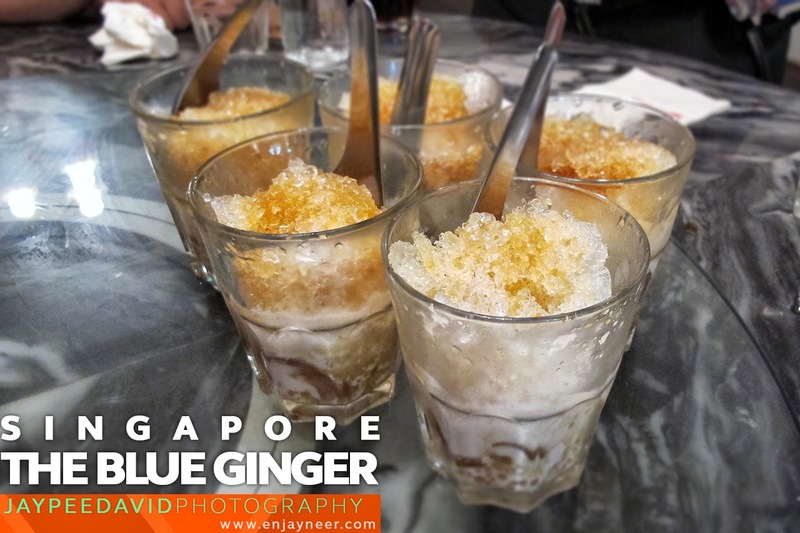 The Blue Ginger Restaurant is located at Tanjong Pagar Road. It's a 3-minute walk from Tanjong Pagar MRT station. Dish description courtesy of Blue Ginger.